DIY Kitchen Remodel and RTA Cabinets - Sincerely, Sara D.
We used RTA (ready-to-assemble) cabinets in our DIY kitchen remodel. 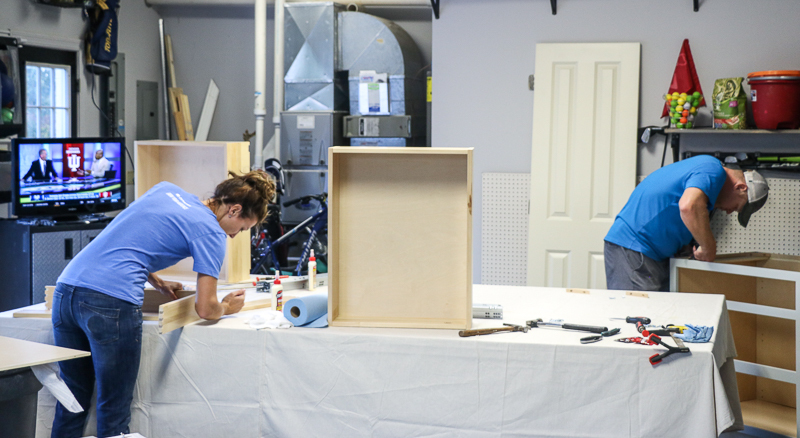 RTA cabinets can provide a 50% savings from big-box store cabinets and turnaround is fairly quick – usually within two weeks! Oh my goodness. 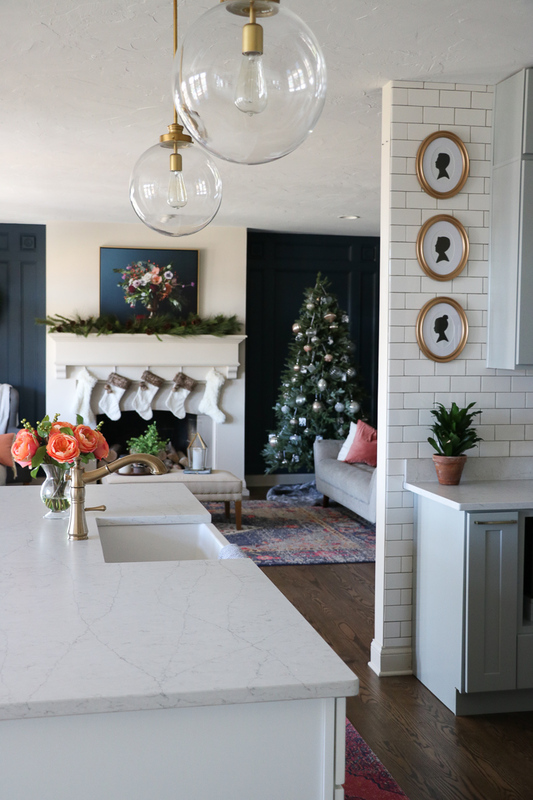 We are DONE with our DIY kitchen remodel and could not be more thankful. To see more on the reveal I shared last week (and a funny behind-the-scenes video), go HERE. 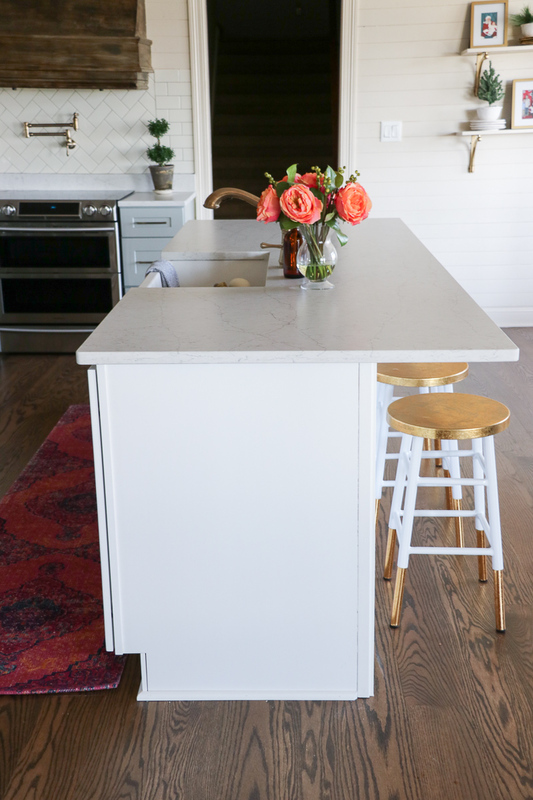 Our newly designed kitchen functions much better than our old design, and we are in LOVE with how gorgeous the new space is – mainly thanks to our new cabinets from Custom Service Hardware. 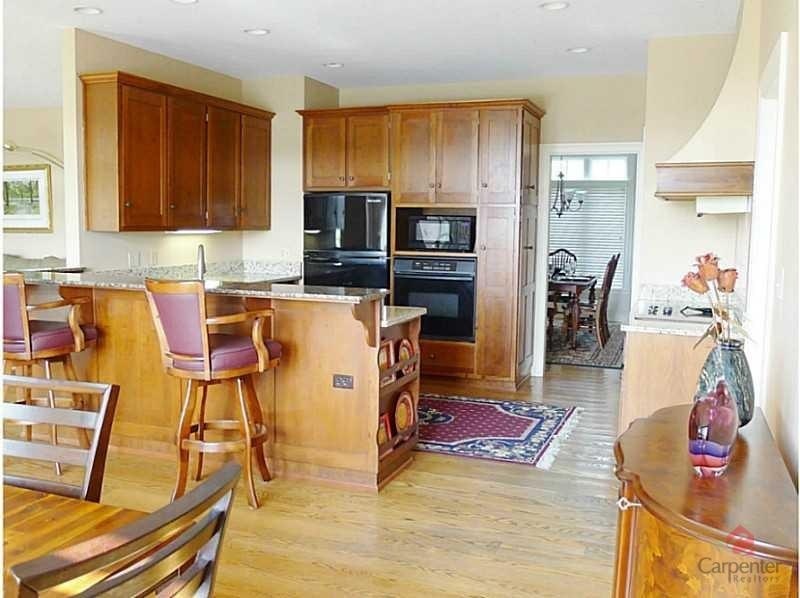 Our old kitchen was dark, and we hated the layout (not to mention our really old appliances). 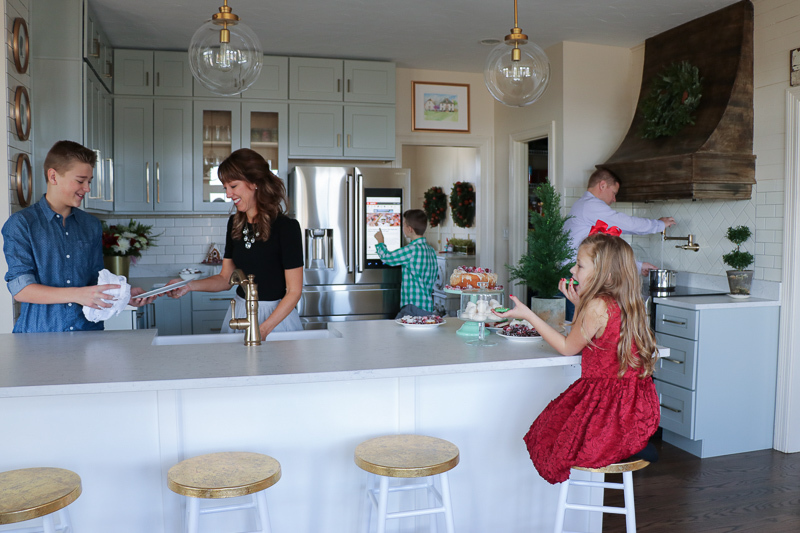 However, we love to host big groups in our home and the layout was so frustrating. The kitchen was closed off from the living room, and there was only one way in and one way out (resulting it lots of traffic issues). Our lower cabinets in the original kitchen design connected to the sink area in an “L” design. We opted for an island this time around and moved the dishwasher next to the sink. The range and stove were separate in the old design. We added a new stove/range combo using the same hood from before (only painted to look like wood). We are in love with the new space, but the entire space was DIYed, so it was a process to get to where we are. I partnered with Custom Service Hardware on the kitchen cabinets and I cannot say enough good things about this company and their people. I have worked with them in the past and had such an amazing experience with their rolling library ladder. Sizes are limited to what is in stock, but the large variety allows for a great layout. 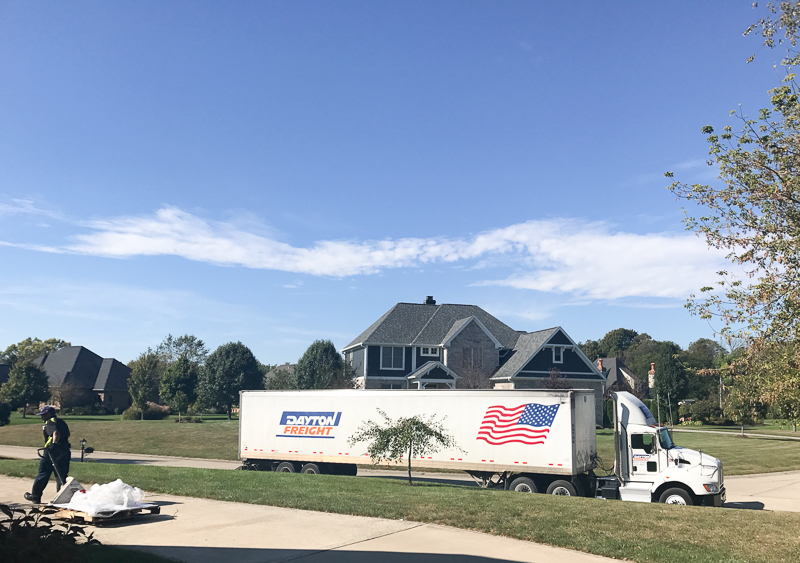 The cabinets are delivered via a truck shipment. There are no instructions in the box, but there are plenty of online video tutorials. Assembly takes time, and the first one is always the hardest. We figured out an assembly groove pretty quickly. Use lots of glue and add a few screws for the best solid cabinet assembly. 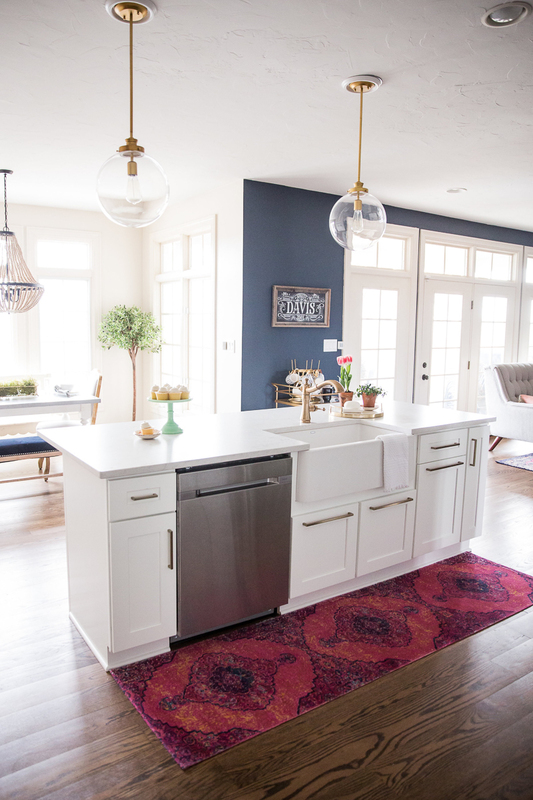 I was surprised how quickly my cabinets arrived – I had them within a week of ordering them. Once they arrived, I was asked to check for damage with the delivery driver, and we didn’t find any damage. 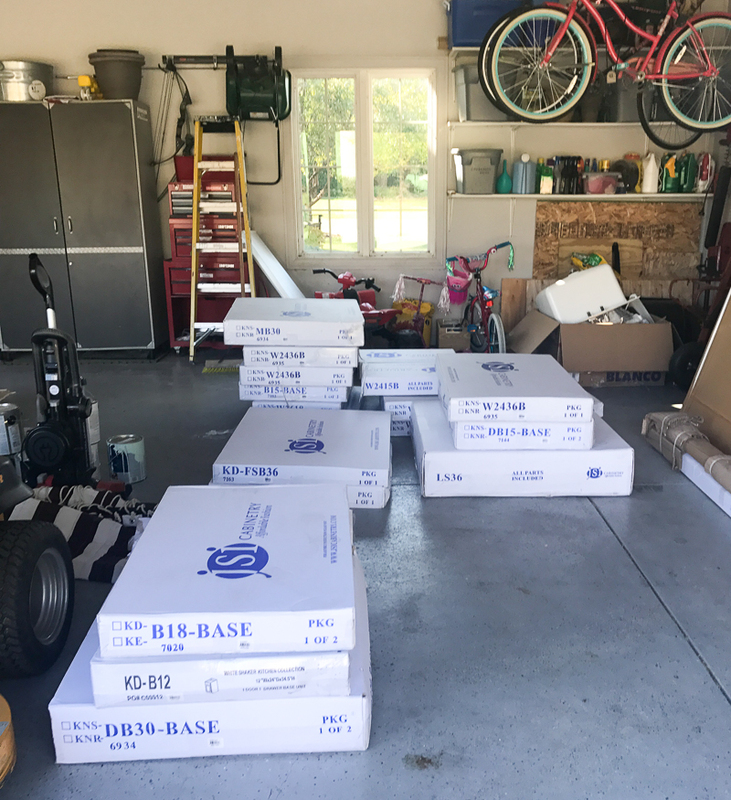 After the delivery man left, I freaked out a bit looking at all those (very flat) boxes. 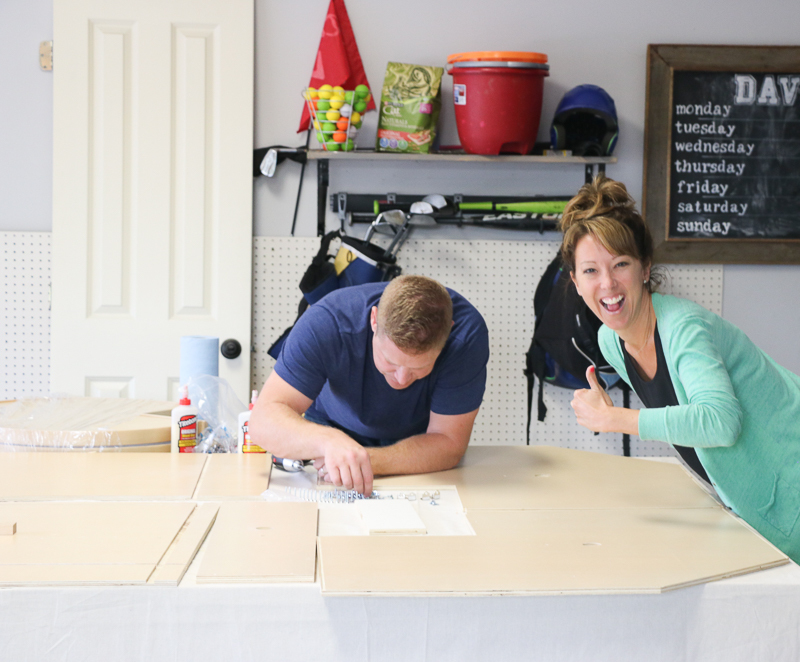 However, my husband and I set up a staging area in the garage and spent our evenings working on the cabinets (thanks to Steve’s parents for helping us assemble some). The color availability is limited, but you can see the product before you buy by ordering sample doors. The finish is very nice, and there are touch-up kits available for any scuffs or dents. The quality is amazing! 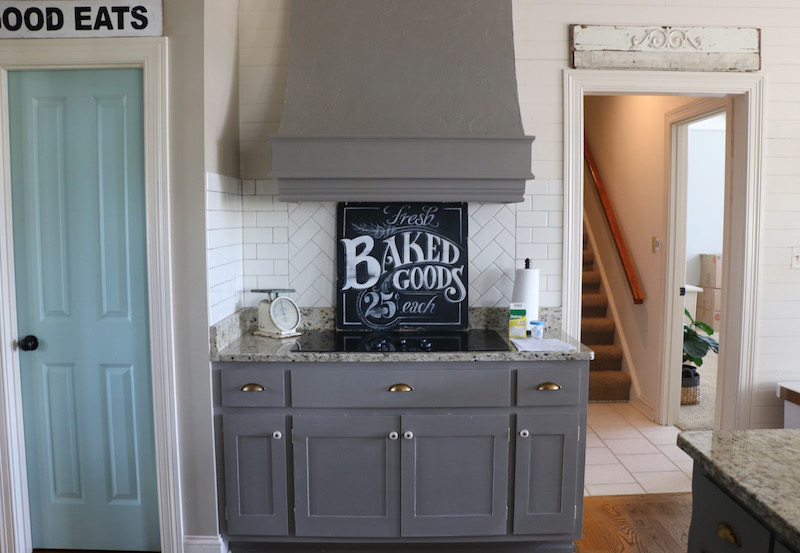 We were pleasantly surprised with all the features and sturdiness of the cabinets. We did find that hardware was necessary for the cabinets in securing the faceplates of the drawers. However, we prefer the added touch the hardware provides the cabinets. 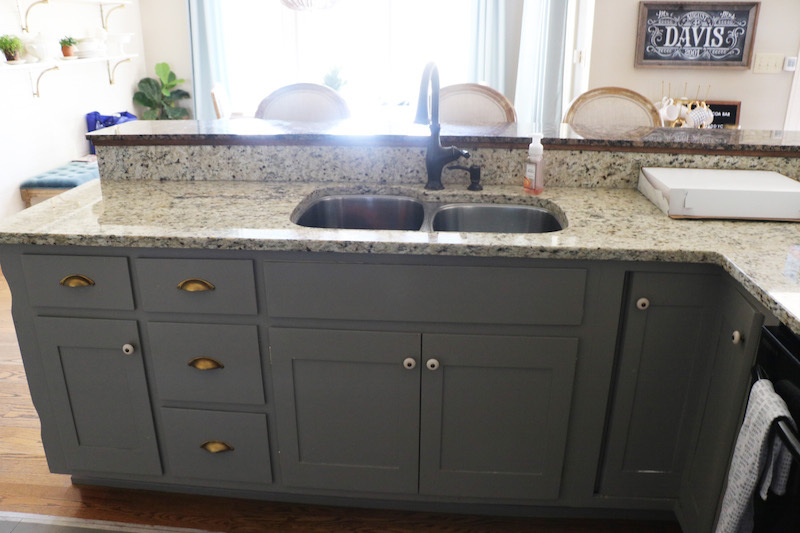 We went with two separate cabinet series for our kitchen (although they are both shaker in style). 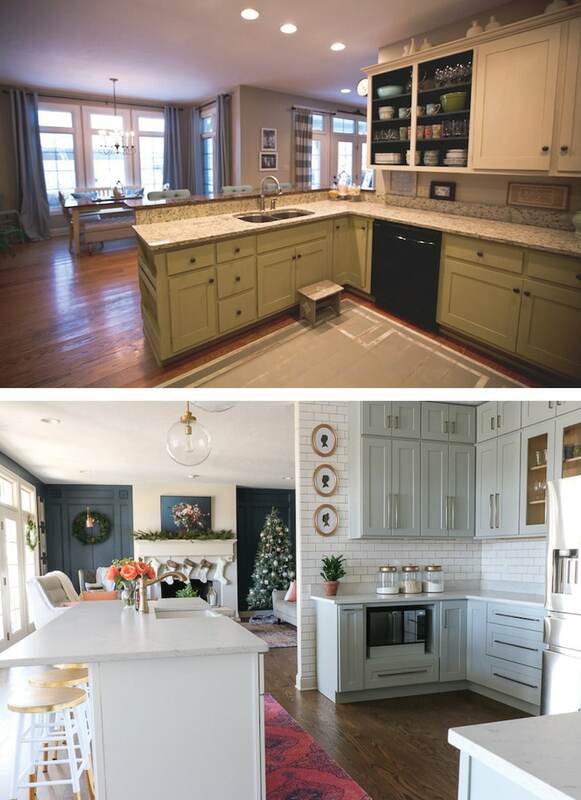 The gray cabinets are the NORWICH SERIES and the white cabinets (the island) are the ESSEX SERIES. 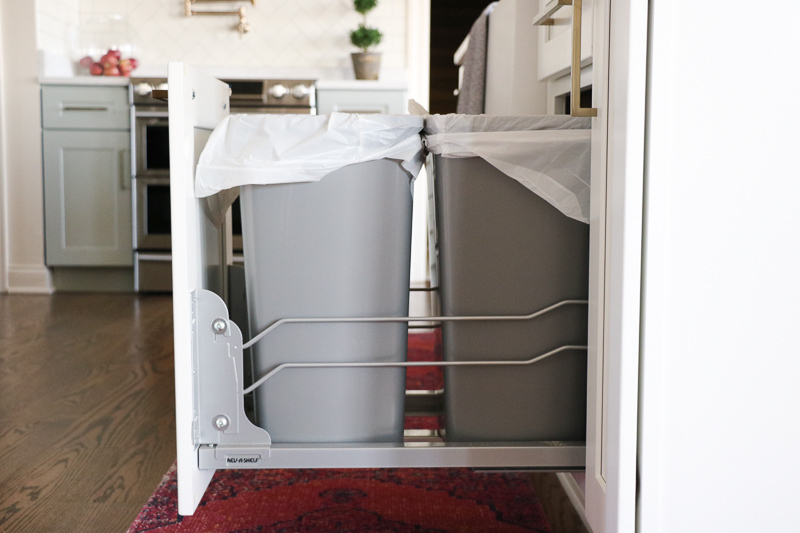 The RTA cabinets offer several fun features such as a hidden trash can. 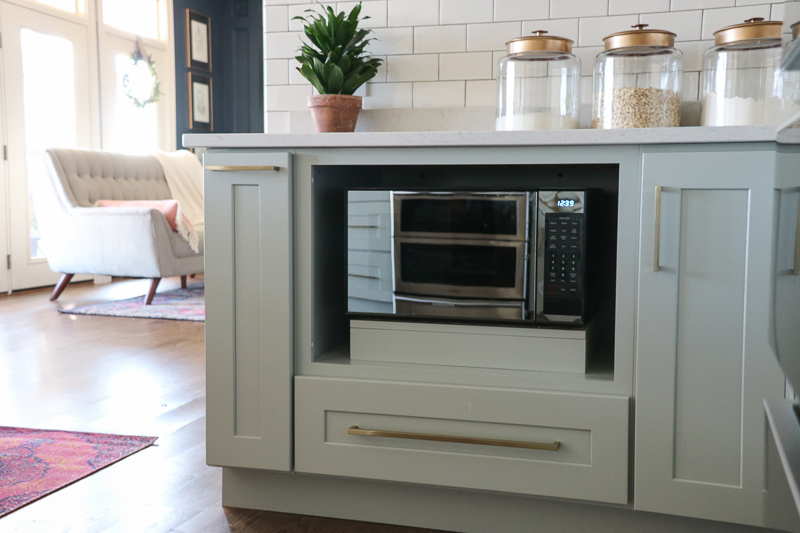 We love the out-of-site microwave shelf. 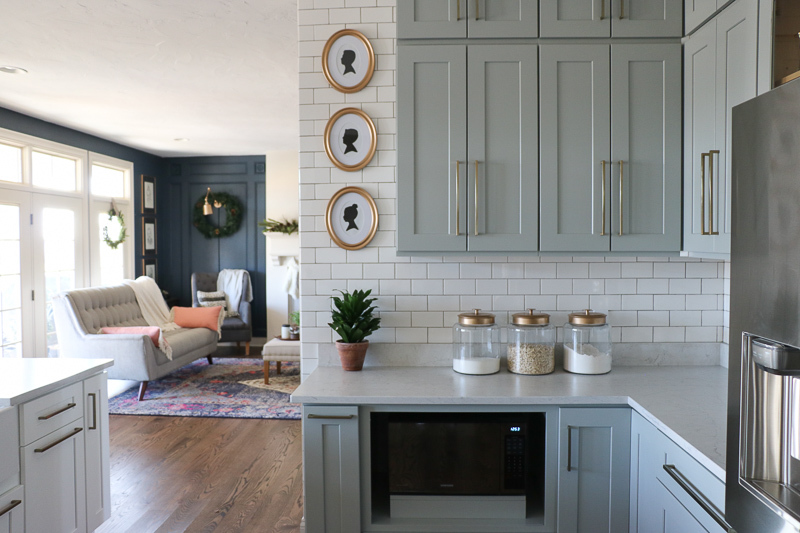 All the hours spent assembling and hanging the cabinets were time well spent because the finished result is absolutely gorgeous! Custom Service Hardware also provides matching trim and molding pieces with their various cabinets series. 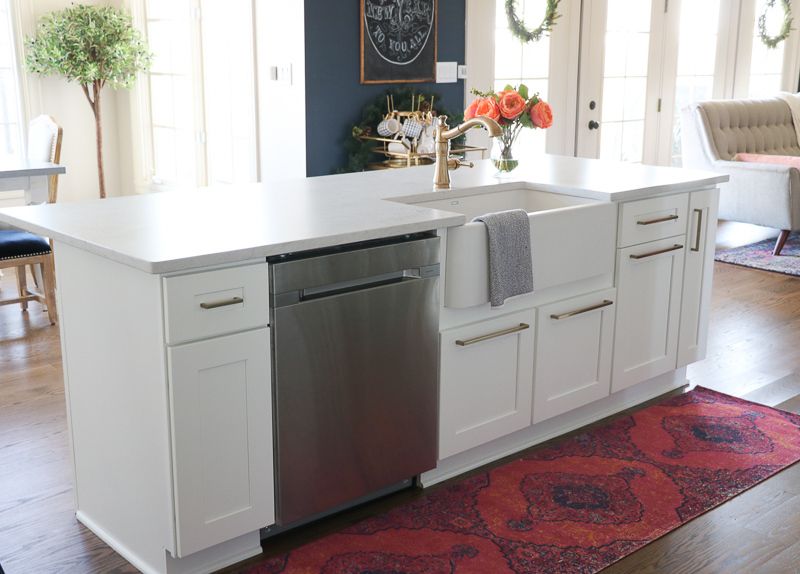 We are in love with our new kitchen and grateful to Custom Service Hardware on their partnership with this DIY kitchen remodel. Custom Service Hardware provides amazing service, and everyone I spoke with was pleasant and helpful. However, I have to give a special shout-out to James who walked me through every step of this RTA cabinet process. *This post is a sponsored post by Custom Service Hardware. I take pride in reviewing only products that fit my brand and will be beneficial to my readers. And while this post is sponsored, all the opinions are my own. What did you use for your backsplash? 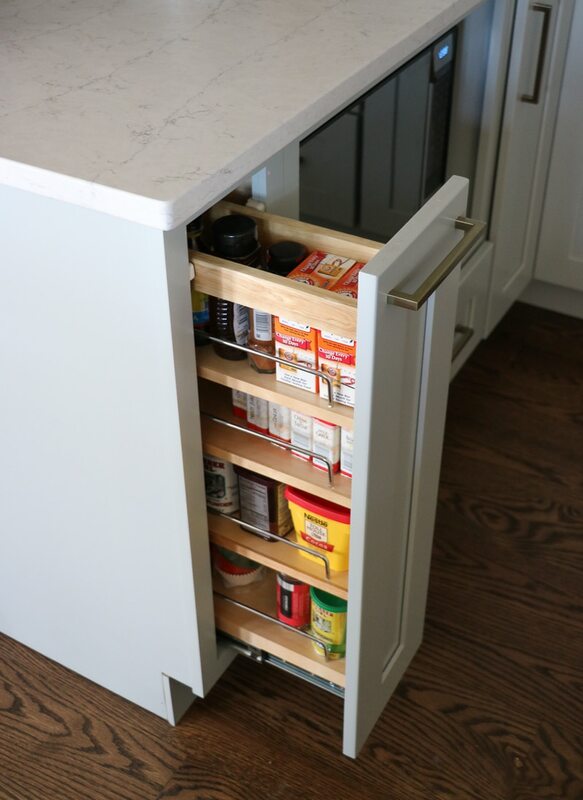 What is the length of the tall cabinet pulls? I saw on Hometalk where someone asked about the top of the cabinet space. 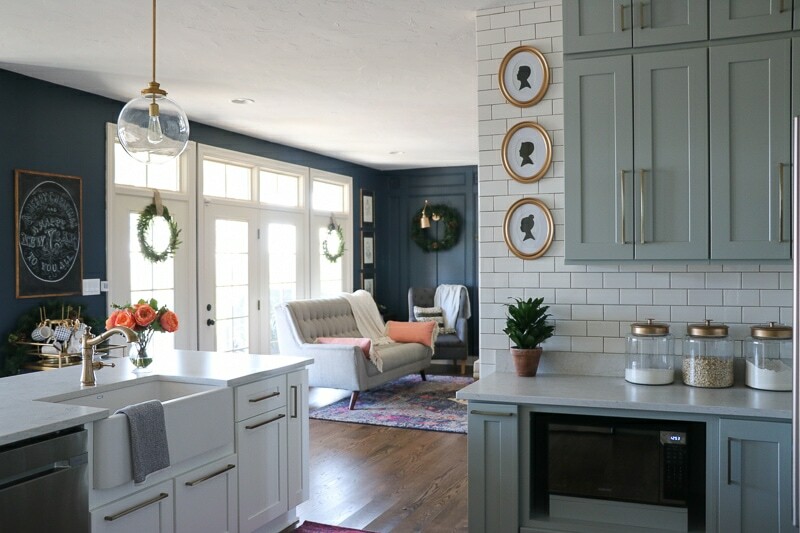 There is a moulding, I’m not sure if it’s shoe moulding, baseboard or chair rail moulding g but some of those come in a polystyrene or polyurethane which looks just like wood but is bendable and kind of goes with the flow of the cabinetry to make everything look straight. It works wonderfully! You have to caulk a little to fill in but not nearly as much as you do with wood. We have lived in many homes and I honestly don’t think there’s any home ou there with straight walls!!! 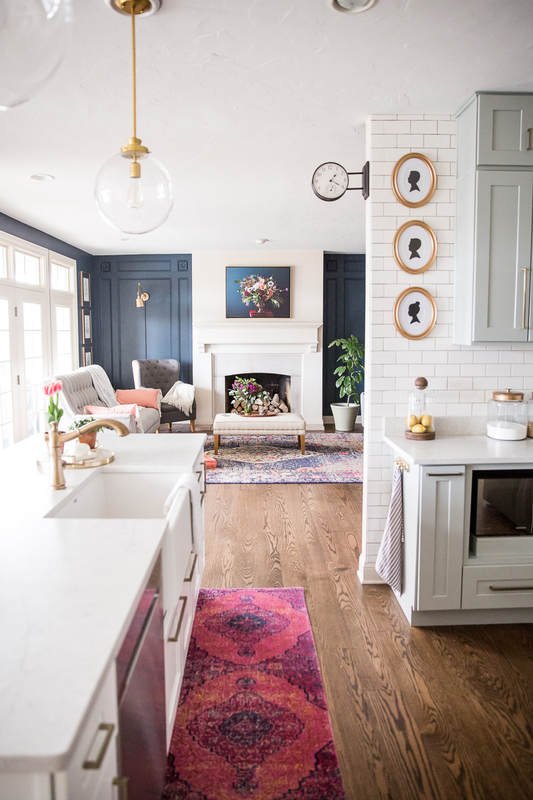 Love your kitchen remodel! Thank you Shirley! I actually added some small moulding earlier this week. It looks okay for now, but eventually I want a more perfect, permanent solution. Thanks so much for your suggestions! 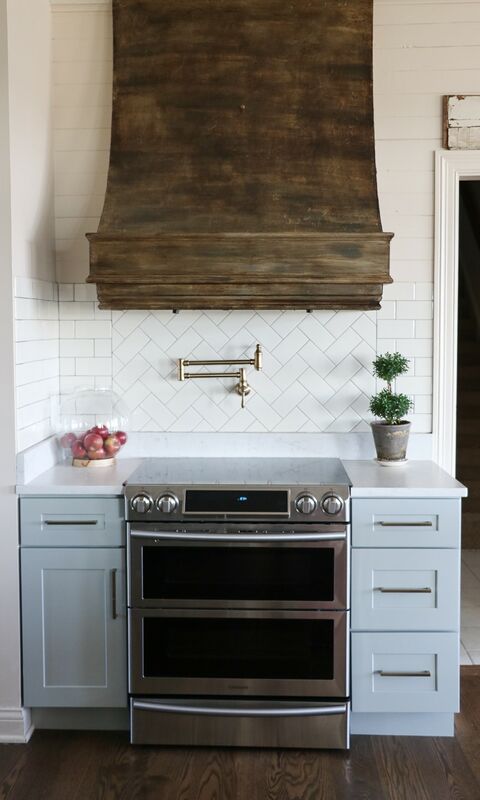 What color grout did you use for your backsplash? I tried to search through some posts but I never found it 🙂 TIA! Stephanie, I can’t believe I didn’t mention it anywhere! I know I bought the premixed grout that you never have to seal from The Home Depot. It was a medium gray. I’m sorry I can’t help more! Hi there! You are so talented-what a beautiful home! 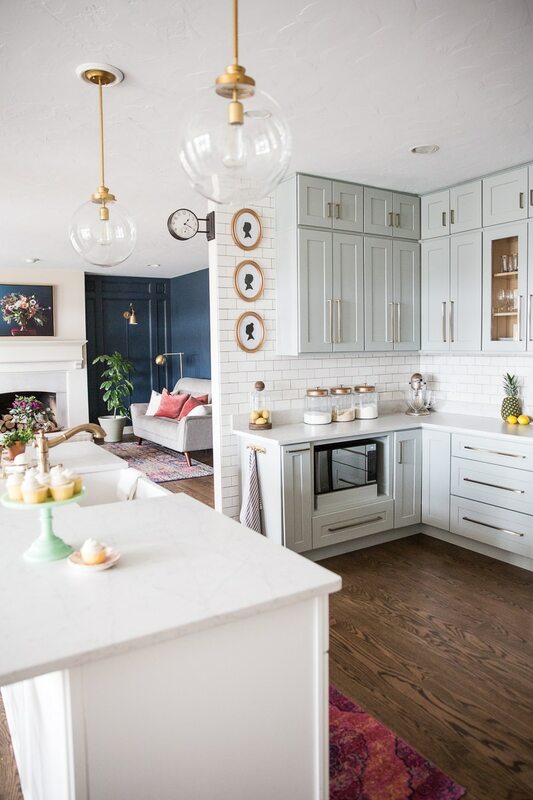 I have a million questions, but I will stick to one for now: Where did you get your cabinet hardware/pulls and what color are they? Same for your kitchen sink faucet. Thanks so much! The kitchen looks lovely! 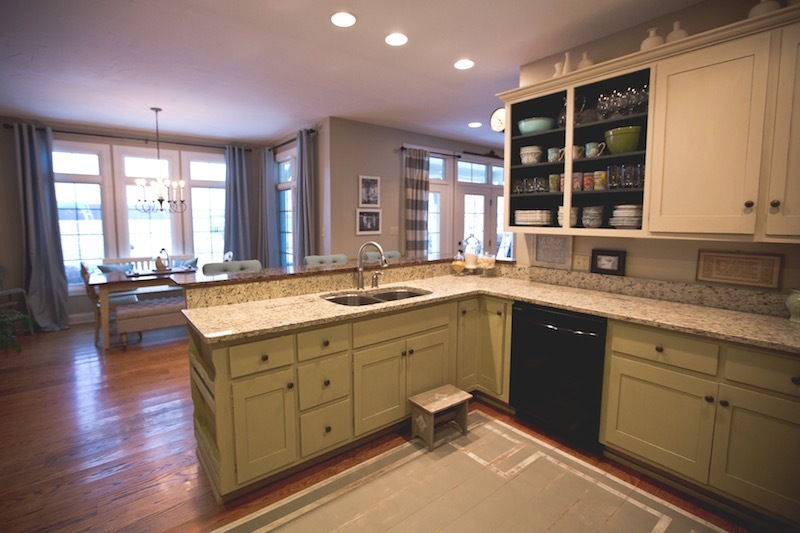 I need a kitchen remodel… sigh… maybe after the 1000 other projects. But I’m here to ask about something a little less involved! Would you mind telling me where you found the gold oval frames for your children’s silhouettes? I can’t find anything similar anywhere (online, at least)! Thanks KJ! The frames are actually from walmart! They were black (and only $5), and I spray painted them gold! Beautiful kitchen! Where did you get your runner, if you don’t mind me asking? How did the previous cabinets hold up after they were repainted and sealed with a top coat instead of wax? Well, those cabinets have since been removed in our kitchen remodel. However, they held up fairly well. The top coat was SO much easier to wipe down/clean than the wax. However, I did run into scratching since I painted right over the wax. The wax doesn’t give the paint much to adhere to. I should have sanded and possibly primed over the wax. Good luck! 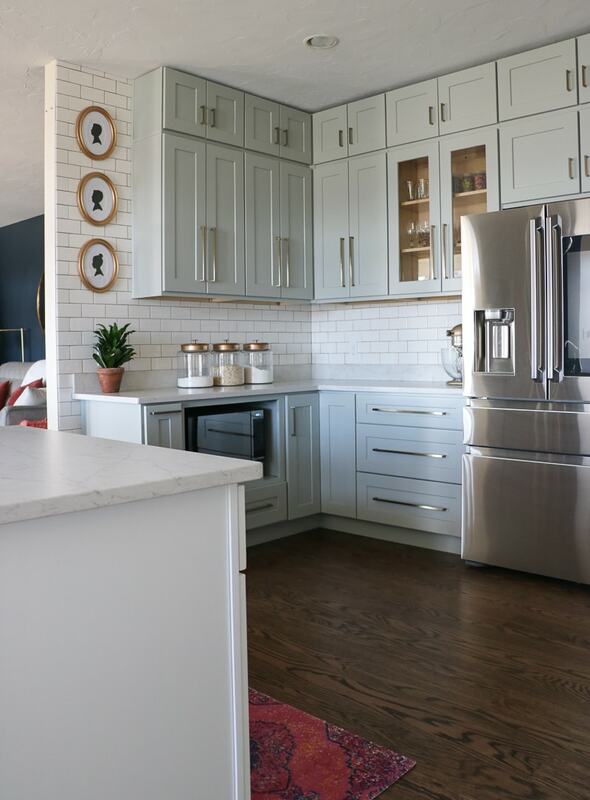 Would Benjamin Moore Classic Gray coordinate well on the walls with the cabinets? If not, what is your primary wall color or do you have any suggestions for a light neutral gray? Thank you! Hi Amanda, I used an cream in our kitchen – Valspar’s Coconut Milk. I didn’t use a gray because I was worried about too much gray in the space with gray cabinets. Hope this helps! 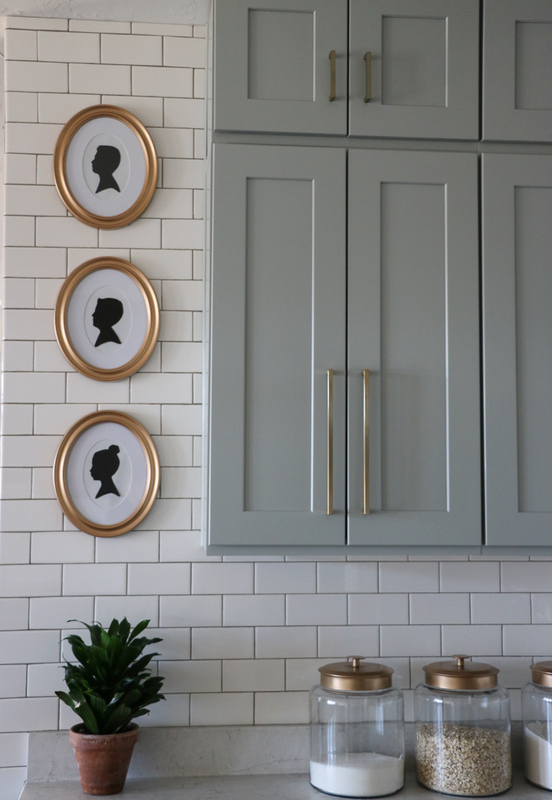 What size wall cabinets did you use? 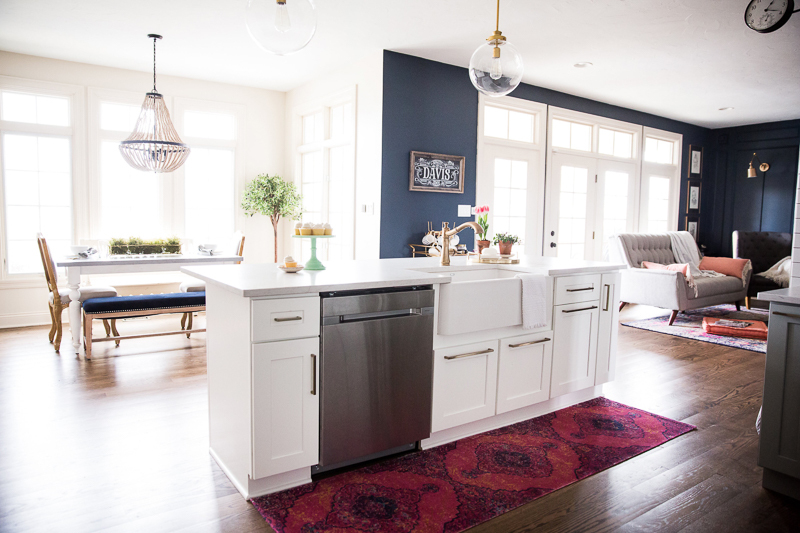 Did you buy an island panel for the back of your island?